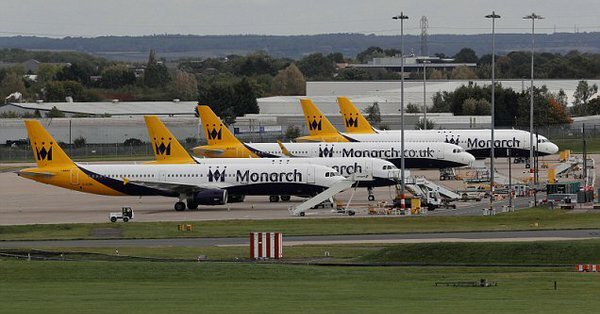 The boss of Monarch, chief executive Andrew Swaffield told the BBC he is "absolutely devastated" at the collapse of his airline, Monarch. Speaking on Today he confirmed the decision cease trading was made late on Saturday night after the company estimated its losses for 2018 would be "well over £100m". The management team could think of a way to stem those losses significantly, either by selling the short-haul airline or improve it. He confirmed that they had sought expert advice, but they still couldn't figure out a way to save the company. He told how the UK's insolvency rules wouldn't have allowed the airline to continue to fly, in a similar fashion to Air Berlin and Alitalia, who are both bankrupt but flying with government loans, whilst officials try to find buyers. He said the airline had spoken to various people to try and save the airline, but no options became available. It's believed those talks included calls to rival airlines such as Easyjet, Wizz, Norweigan and Ryanair over buying all or part of the company. 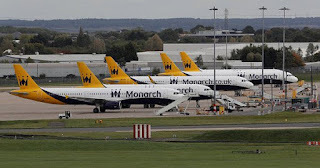 Whilst they know Monarch would cease trading on Saturday night they kept the airline flying its normal schedule on Sunday, to make it easier for the rescue flights of the CAA to be introduced. Had they ceased on Sunday, none of the aircraft that the CAA had organised would have been immediately available, which would have caused a massive backlog of passengers. Swaffield expressed his profound sorrow to the airlines' passengers and the staff for losing their jobs. He echoed the sentiments of many Monarch employees that the company was more like a very big family. Indeed many of the staff had been with the airline for between ten and twenty years, with some being there a lot longer. Swaffield said they had been talking with competitor airlines and other companies about possible employment opportunities for the staff including arranging open days and job fairs trying to connect staff with those competitors. He said he hoped those attempts would soon start to bear fruit for the staff. Meanwhile, Norwegian Air has been rumoured to be interested in taking over the airline or at least part of it, They had previously held talks about a possible joint venture or some sort of arrangement with Monarch, however, they remain silent on the issue. – “We don’t comment on speculation” was the official reply when we broached them for a statement on the media speculation that Norwegian was talking with KPMG about buying the airline side of the business. There has also been some speculation that the budget carriers of Ryanair and Easyjet might be interested in taking over the airline. Ryanair is in such a mess at the moment that they've already ruled themselves out - other than buying a few airport slots. The Irish airline also refused to wet or dry lease aircraft to help with the CAA's repatriation flights, despite having a number immediately available. Easyjet could a very well be a favourite for a purchaser as Monarch's fleet would fit in with Easyjet's and the company has the finances available.